Following are some facts about these water birds and what they symbolize. I think we humans could learn a lot from these most graceful and wise waterfowls. One thing we could learn from them is their faithfulness towards their partner. They are known to mate for life, though there are certain cases where they do take another partner; for instance, when their mate gets lost during migration, or when it dies (or the female can't produce eggs), then it’s possible that the one left alone chooses another partner. Another admirable factor is what the swan symbolizes: grace, divinity and wisdom. The first two are natives to North-America, whereas the latter was introduced by Europe. Also, aside from the pictures and video links provided in each swan section, do enjoy the special page with links to extra beautiful pictures, videos and slides. Birds often symbolize the divine. They are often viewed as gods in disguise, or they are the vehicles of gods and goddesses. While the peacock is a symbol of material manifestation, the swan stands for the ethereal. It represents the presence of divine inspiration in our world. Their association with wisdom and creativity appears also among the Greeks who consider this bird to be related to the nine Muses. It is said that when Apollo was born at Delos, the event was marked with flights of these magical birds circling in the sky. Despite the fact that they are generally considered to be the most beautiful of waterfowl, we can see in its long, graceful, serpentine neck, a kinship to the snake. Therefore, in Indian mythology, the swan (called “Hamsa” in Sanskrit) embodies the union of “Garuda” (Indian mythological bird, usually depicted as part human) and Naga (Sanskrit for snake), and since those two are enemies, it also stands for the highest wisdom teachings concerning the union of opposites. Belonging to the family "Anatidae" (which also includes geese and ducks), the subfamily "Anserinae", and the Genus "Cygnus", the male is called a cob, the female a pen, and the babies are called cygnets. The male is slightly bigger than the female. These water birds are very protective of their offspring, and a cob gets very aggressive if anyone - human or animal - gets too close to the cygnets. Don’t underestimate the force of their wings... it’s been known to break a man’s leg! Imagine such powerful wings coming at you... you better run for your life! When these magnificent water birds look for a mate, they display a courtship dance... I’ve heard it’s one of the most beautiful things to experience. Unfortunately I haven’t had a chance to witness it myself yet, but here is a YouTube video so you can see for yourself. During courtship they sometimes also “kiss” by touching their bills. You can see the heart-shape that is formed by their necks... how romantic, eh? Swans are powerful birds, and can be very aggressive. They bite, and their beating wings can break a person’s arm. Aggression is displayed by the lowering of their neck, hissing, and rushing forward. They get aggressive when protecting their territories from strangers and other swans, although they will tolerate ducks and smaller fowl (though Mute swans may attack them too). 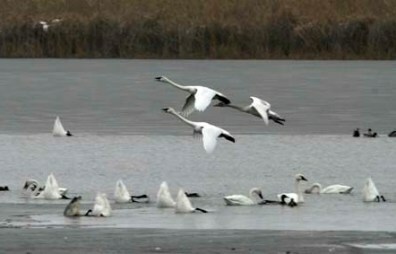 At the end of fall or the beginning of winter, swans start to migrate in flocks of twenty to forty birds. Cygnets travel in their parent’s flock for at least a year, so they can learn the route, and where to feed, rest, etc. The birds in migration have been clocked between 35-50 mph in the air, and they prefer to fly at night. They can fly at heights of 28,000 feet, and travel over 2,000 miles, often over sea. Like most large migratory birds, they fly in the V-formation, which helps them to cover long distances efficiently. The V-formation benefits all of the birds, though the bird in the lead position has to work the hardest. When it tires, another bird from further back will quickly move into the lead position, while the tired one falls further back into one of the lines of the V. Even the two birds trailing in the furthest positions of the V tire more quickly than those in the middle, so these positions are also rotated frequently in order to give each bird a chance to lead the flock, as well as a chance to enjoy the maximum benefits of being in the middle of the formation. The center position requires the least effort. This teamwork spirit comes naturally to them; even the youngest members of the flock quickly realize the benefits of the V-formation and how much easier it is than to fly alone. Another reason that may explain why birds fly in this formation is that it allows the birds to communicate more easily and it provides them with good visual contact of each other to keep the flock together. 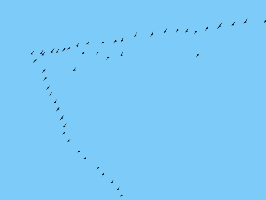 It also minimizes the possibility of losing birds along the way, as they're traveling across vast distances during the migration. There are many similarities between the three types of swans that are found in North America, but the differences in their appearance make it easier to recognize what type of swan it is. The easiest one to recognize is the Mute swan, because it has an orange bill. It's harder to differentiate between the Trumpeter and the Tundra. However, the Trumpeter is the largest of the three swans, whereas the Tundra is the smallest. Trumpeters have longer necks in proportion to their body lengths than Tundras. This is noticeable when the birds are either standing or swimming. In flight, following the takeoff run and just as they become airborne, Trumpeters will pull their necks into a shallow "S" curve, though only for a very brief moment during their first wing beats to stay airborne. Tundras hold their necks straight during the takeoff run and initial flight. This characteristic applies to both land and water takeoffs. In mixed flocks, Trumpeter swans may be the last birds to take off. They may stay one or more minutes longer than the Tundra swans when both types are together, but are not entirely intermingled (Trumpeters remain at one end of the flock as a group). Generally, body postures of Trumpeters are angular, whereas Tundra postures are curved or round. Mutes like to hold the neck curved gracefully in a well-defined "S" shape, bill pointing somewhat downward, while the wings may be arched over their back. Trumpeter: wing span 84-96 in. ; weight 21-30 lbs. ; length about 60 in. 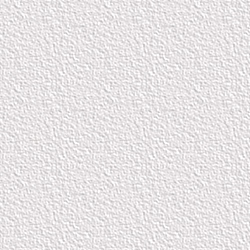 Tundra: wing span 72-80 in. ; weight 13-18 lbs. ; length about 52 in. Mute: wing span 82-94 in. ; weight 20-30 lbs. ; length about 57 in. Trumpeters have a resonant, sonorous, loud, low pitched, bugle-like call. Tundras have a high-pitched, often quavering call. Mutes are generally silent but not "mute"; they make hissing sounds and occasionally purring noises. Trumpeter - has a black bill with a red border on lower mandible (the red border may also be present on some Tundras); bill is longer than that of the Tundra. Mute - bill is orange with a prominent black knob at the base. Swans are often kept as pets for the wealthy, sometimes living in their ponds, lakes, and even travel on large yachts with their owners. Some Prestige Yachts for sale can even have small pools that are perfect for swans to swim while at sea.